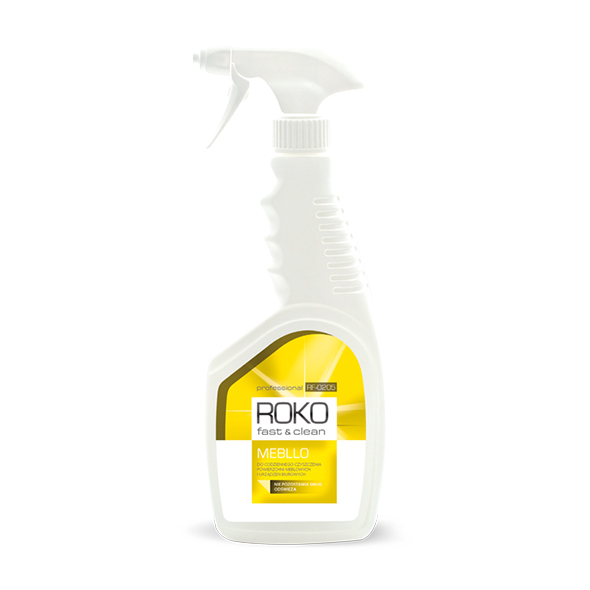 ROKO FAST&CLEAN MEBLLO is a liquid for cleaning and preservation of laminated or veneer furniture fronts. It contains wax. It is intended for removing typical dirt from furniture, contains antistatic agent enhancing dust removal and preventing from dust build up. It offers gentle polishing effect and leaves a pleasant and long-lasting fragrance. Efficient and easy to use with an anti-streaks effect. The product is intended for professional use. cleaning of furniture care of furniture laminated furniture veneer furniture.